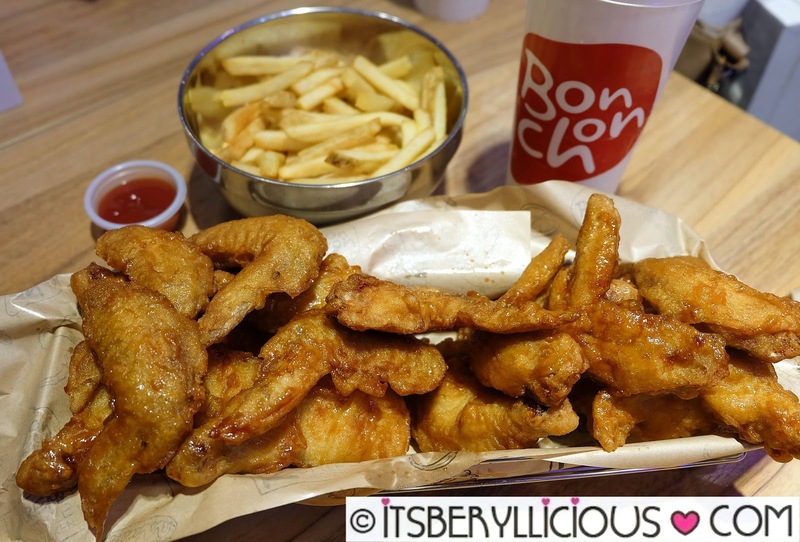 It has been 7 years since Bonchon introduced the Korean fried chicken in the Philippines. Still, it continues to come up with new and exciting dishes that take every Filipino to a k-tastic Korean experience. Last week, I set off to a gastronomic Korean adventure at Bonchon's Ayala Malls The 30th branch in Pasig. With a suitcase, sunglasses, chopsticks and a checklist in tow, I got ready for a k-tastic day like no other. First thing I noticed was that Bonchon revamped its interiors into a modern barn setting with that Western meets Asian vibe. Lighting in stores were also improved to perfectly capture those Instagram-worthy Bonchon k-tastic moments. 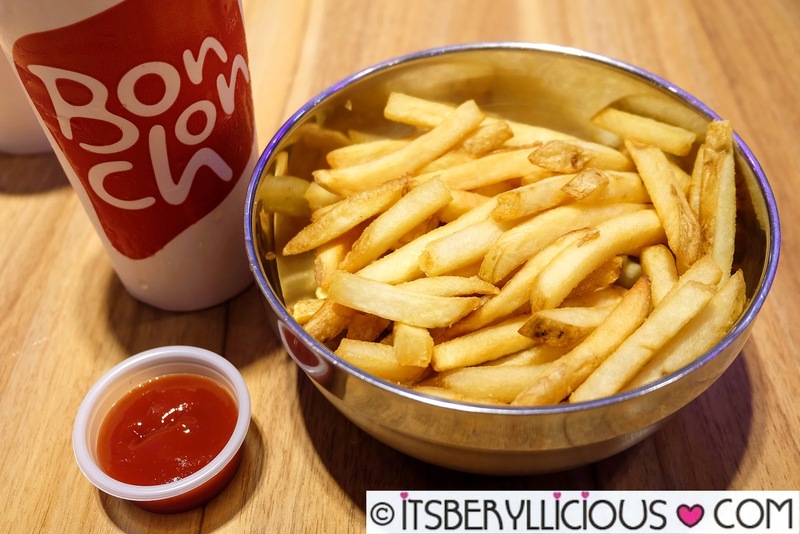 We were first served with a bowl of crunchy thick-cut Fries, and Houseblend Iced Tea, followed by Bonchon's signature Soy-Garlic Chicken. It as like re-living the scenes of Kim Bok Joo from Weightlifting Fairy, and how she easily gobbles up several pieces of the Korean-style fried chicken from Bok Chicken. 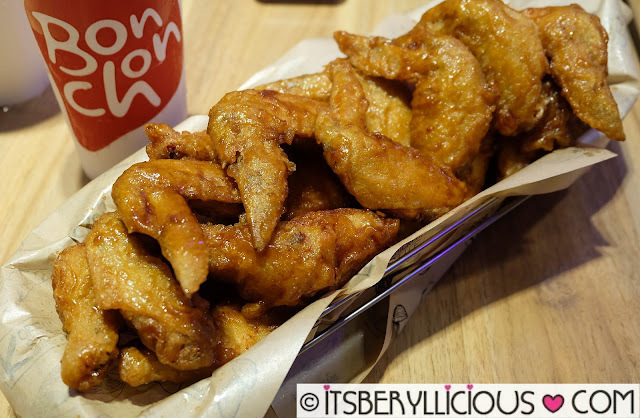 Bonchon K-style chicken is made with love and freshly hand-glazed with a selection of 4 signature flavors: Soy-Garlic, Spicy, Honey Citrus, and Crunchy Garlic. Whatever flavor you choose, you're guaranteed to have that exceptionally crunchy and flavorful chicken every single time. 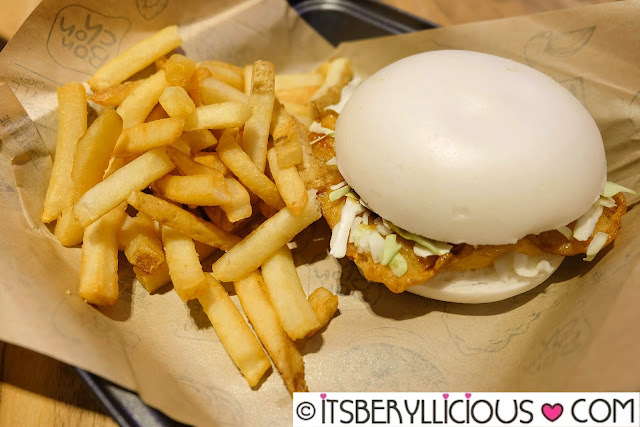 We took a side trip to Gangnam district, and got a taste of Bonchon's all new Gangnam Bao that features 100% real tender chicken in between soft and fluffy bao buns. Choose between steamed or fried, depending on your mood. The steamed bun is a softer and a healthier choice, while the fried version is crunchy and more aromatic. I personally prefer the fried version for that added texture in every bite. I also found it tastier compared to the steamed one. 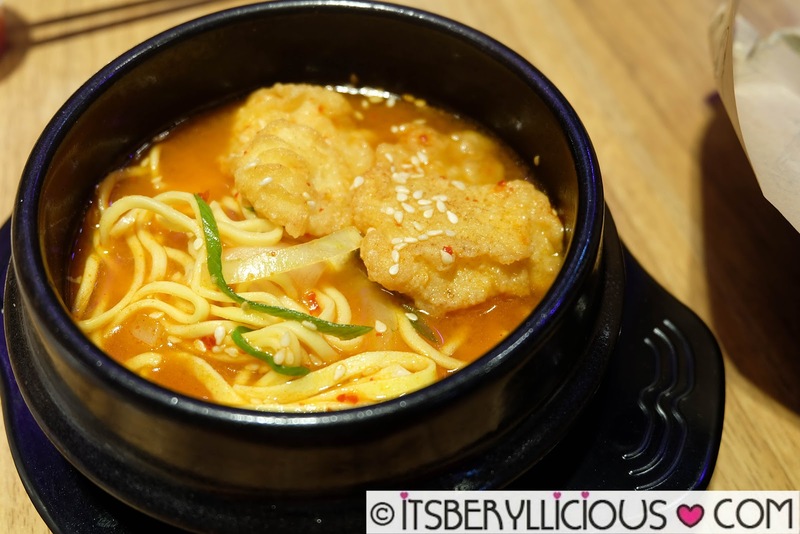 For spicy lovers, the Jjamppong Spicy Noodle Soup is a great add-on to every Bonchon meal. A perfect combination of Korean hot pepper flakes, a special spicy seafood broth, egg noodles, and Bonchon's crispy fish poppers. 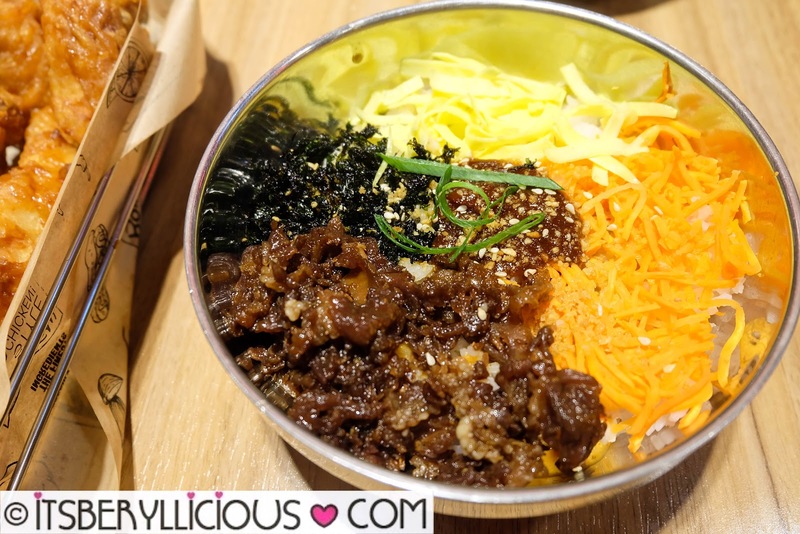 Everyone was given a royal treatment as they brought out several bowls of Bonchon's best-selling Bibimbowl. I had the Beef Bibimbowl which came in a huge and hefty serving. 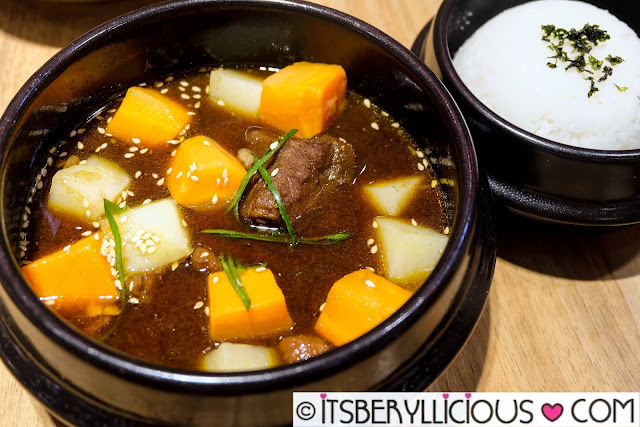 The big bowl of steamed white rice came with an assortment of well-seasoned ingredients like beef, seaweeds, egg, and carrots, then topped with a sweet and savory original sauce. Yum! 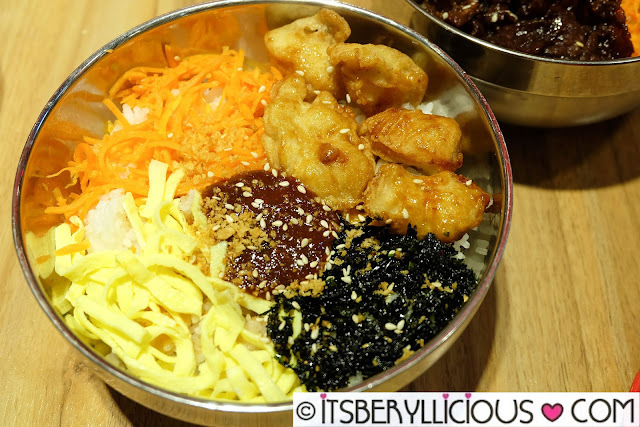 For non-beef eaters, there's the Chicken Bibimbowl which is equally tasty and filling with Bonchon's crunchy chicken poppers. One dish I was looking forward to trying was Bonchon's Korean Beef Stew, that boasts of Korea's true beef flavor. It is made with premium beef chunks and spices, slow-cooked for hours to achieve that tender beef cuts and authentic flavors. Truly, it did not disappoint! Before our K-tastic Korean adventure came to an end, we had a glimpse of a Korean snowfall with Bonchon's iced dessert Bingsu- a traditional Korean dessert made with ultra-fine, snow-like shaved ice, topped with a variety of luscious flavors. 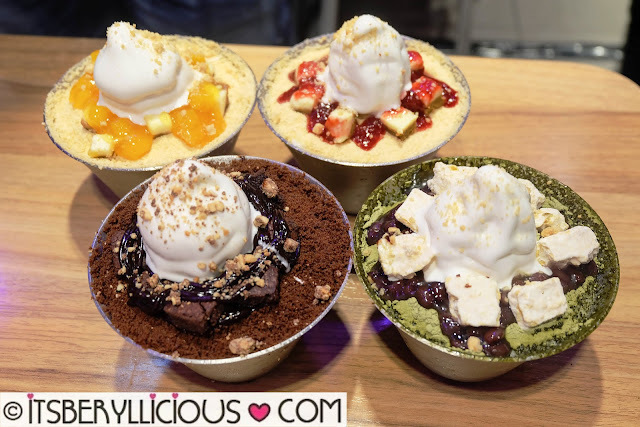 Bonchon's Bingsu comes in 4 flavors: Matcha Vanilla, Strawberry Cheesecake, Chocolate Brownie, and Mango Cheesecake. It was the perfect dessert to cap the meal before heading back home. Each flavor had its own character and taste, so there's surely something for everyone. All flavors were good, but I personally liked the Matcha Vanilla and Strawberry Cheesecake the most. 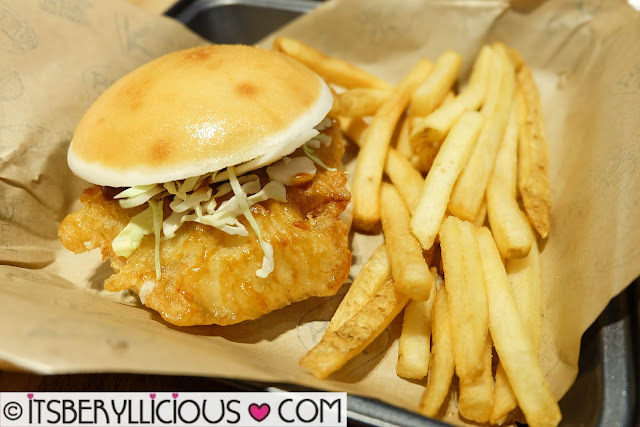 I definitely had a great time in trying out Bonchon's new and innovative dishes, and at the same time enjoyed being re-introduced to old all-time favorites. 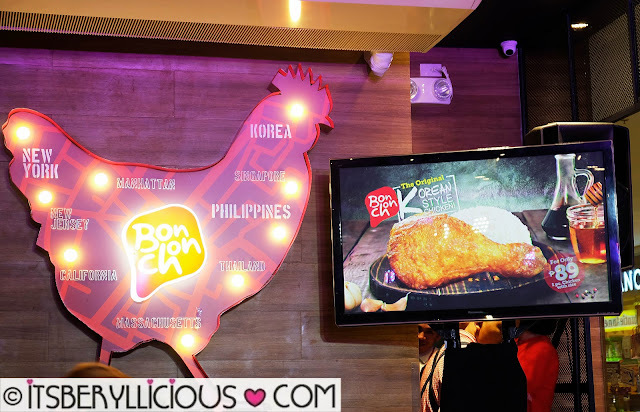 Thank you Bonchon for continuing to come up with exciting products that give every Filipino a k-tastic and k-stronomic taste of Korea.